Over the years there has been a lot of discussion about revitalizing the AM band. Now the FCC has decided to offer a proposal to jump start the process. The discussion of what to do often centers on signal strength or the reinvention of AM stereo. There are several things that must be done to make AM radio a product which a new generation will value. Talk to a teenager and they refer to AM as ‘fuzzy’. They believe it to be technically inferior to FM. They are right! One of the key issues often neglected is the quality of today’s AM receivers. I own a Westinghouse AM/Shortwave radio built in 1934. This is a radio that operates on tubes and an external antenna. This is the radio on which my grandparents and young mother listened to Hitler‘s speeches. Today I turn this radio on and the quality of the AM broadcasts are incredible! Why is 80-year-old technology able to deliver such an outstanding listening experience as compared to every other AM radio in my home? The answer is today’s radio manufacturers put absolutely no effort (read money) into building a quality AM receiver. The FCC needs to set a standard which requires radio makers to meet in all receivers and that does not allow them to skirt the requirement by ignoring the AM band in their products. Second, broadcasters need to program their AM stations. Programming is NOT a day-long parade of one syndicated program into the next. Given the current economic environment I can understand doing this overnights and weekends. The fact is AM radio has abandoned the listener. A horrendous lack of local content has put AM stations on the same track as newspapers. No meat means no consumers. Revitalization hinges on this changing in a big way. There has been some discussion of eliminating clear channel frequencies in a move to declutter the AM band. This is a wise move. Clear channel stations were created in radio’s early days to put a signal into areas that did not have access to a local radio station. Media penetration has overrun all areas of the country. Clear channel frequencies no longer serve a purpose other than nostalgia. Besides, every radio station that is streaming over the internet is in effect operating on a clear channel frequency. It is past time to move away from the concept, the world has changed. For AM stations to succeed it is essential they effectively cover their trade areas at night. There are many stations, who through night time signal pattern changes/reduced power requirements, lop off segments of their listening area. 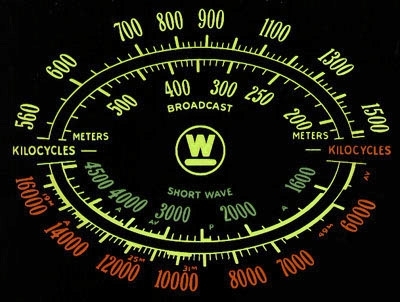 For night-time terrestrial listening purposes the cleaning up of the AM band and the FCC’s proposal to use low power FM tied to the AM license makes sense. Radio is at its best during crisis. This often means power outages and downed internet lines. Getting the signal to all your community 24-hours a day is key to being perceived as valuable. Saving AM radio will require broadcasters to commit money and time. Something not easy in the stock market dividend business radio has become. We are talking long term planning well beyond this quarter. Returns will not be immediate, but will come, resulting in a pay-off for investors and the public alike.